In 2007 Patti, brought together her two passions, threading together community and non-profit organizations with books and the knitting of hats. 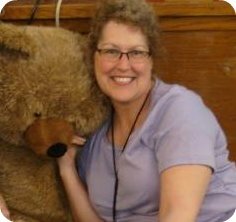 Patti has been a “bookperson” for over twenty years, at many different stores, she helped open the University Village B&N in the mid-nineties and made her way to become part of the Third Place family in 2006. She's been knitting since fourth grade! Who better to create the Good Knits Book Club?! Nimble fingers, nimble mind, big heart. When the group began it consisted of about 5 members and now has a consistent showing upwards of 15 people. More than a passion for reading, these followers have become friends, many of whom meet an entire hour early to have dinner together in the Lake Forest Park Commons. The meal is a quick one however, because half an hour before the 7pm start time Patti offers a thirty minute knitting lesson to new knitters. And as the hour rolls around everyone comes together to knit as they discuss the latest title the group has undertaken. After all, the best part of reading a book is the discourse that surrounds it, the richness of the dialogue between people not characters. Indeed every book is a conversation with an author, with a concept, but those worlds are made real tenfold when the spark of humans talking to humans sets it all ablaze. There is a reason the “Knit” is before the “Book”, while of course those who attend are welcome to work on any project they set their needles to, the group on whole has a goal- 200 hats for the homeless children of Seattle. 200 is not arbitrary integer, in 2007 it was ten percent of the homeless population in Seattle. Of course in the last four years that number has risen considerably but 200 hats is still a tall order for a small, but very caring, group. The hats are distributed by the U.S. Coastguard's Holiday Stocking Organization. “Holiday Stockings for Homeless Children is an annual U.S. Coast Guard family and community friends effort to provide and deliver handmade Holiday Stockings filled with new gifts and useful essentials to homeless children ages birth to 17 years living in and out of shelters in the Puget Sound Area.” The Good Knits Book Club also assists in the sewing up of some of those stockings as the year draws to a close. It's not all such serious business. Attend as you please, no dues, no contracts, just an open meeting the second Monday on every month. Each hat an attendee completes functions essentially as a raffle ticket, with Third Place Gift Cards and other choice bookish SWAG as the prizes for such efforts. There is also a Show 'N' Tell share portion of the meetings where members share knitting tips, new patterns, or in the case of one member, raw, exotic wools from New Zealand! The group get involved with events like Stitch and Pitch-- baseball and knitting!! Enjoy a game with good company and something thready to occupy you, especially during those long innings! Another delightful link of our two favorite PNW cities, the Seattle to Portland Yarn Train! The whole endeavor begins in Seattle training it to PDX with needles in hand to meet other knitters and spend the day socializing and shopping in Portland, all wrapped up with a late train ride back- whew what a day! Another thing the great Northwest graces us with is an appreciation of warmth, and good pair of socks- in July the group may venture to Portland once again for the Portland Sock Summit! Again knitters unite- and feet rejoice! These are some of the larger activities for the group but smaller, local field trips and occasional retreats are often enjoyed as well! The Good Knits titles are discounted 20% to those who have a book club card. Just ask for a card at the meeting or in the store. All are welcome to join these discussions! The Good Knits Book Club normally meets the second Monday of each month. This month, however, Caroline Kennedy will be here on their normal book club night so the Next Meeting is Monday, April 4th! you only thought about before. How can you be where you never were? Are you a poet and nobody knows it? Our children’s department is having a poetry contest open to kids grade K - 12. 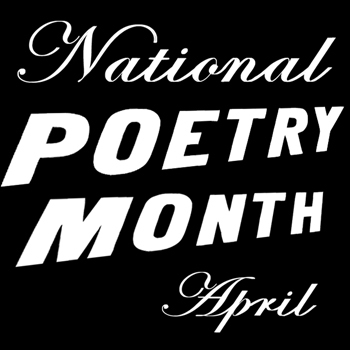 In celebration of National Poetry Month, every day during April we will select one poem to post on the blog and in our children’s department. Stop by the children’s department to pick up your “pocket” to write your poem on. You can write it yourself or ask your parents for help. Check the blog every day in April to see if your poem is the poem of the day! And don't forget! All POETRY BOOKS are 20% off during April! As a bookseller, it can be a bit disconcerting when someone tells me that a relative has published a book. 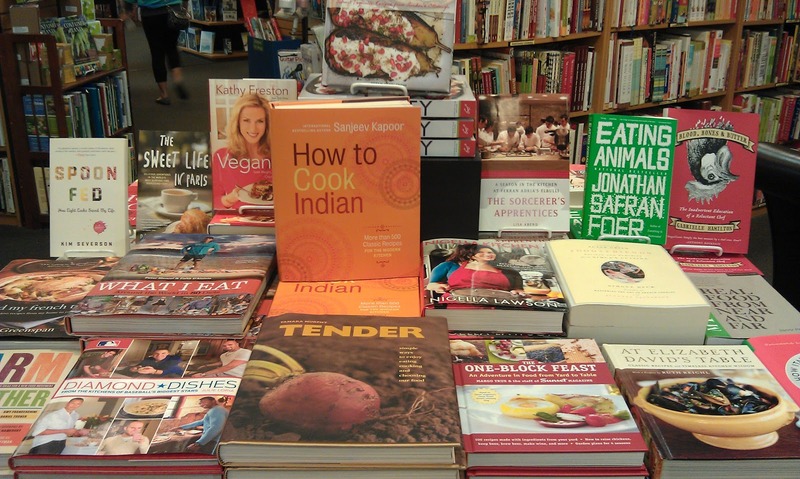 Last week, I heard that my teammate's mother had written a cookbook, so with some trepidation, I looked it up: Pure & Simple Homemade Indian Vegetarian Cuisine by Vidhu Mittal. Lo and behold, not only was it on the shelf in our cookbook section, it was mouthwateringly beautiful! Several pages at the beginning are comprised of a glossary of spices, vegetables, legumes, and kitchen tools that are used in the book, each entry accompanied by a photo and a brief description. With multiple color photos of each recipe, this is the kind of cookbook that makes me hungry. By 10am I'd shown it to several coworkers, and I wanted to take the rest of the day off to go home and cook an Indian feast! On Friday afternoon, after several hours of pie and cookie baking, I realized that James would soon be home from work with our friend Johnny in tow. I'd mentioned that we should try something from the new cookbook, so I started trolling for recipes that looked quick & easy. I settled on Aloo Paratha (Indian Bread Stuffed with Potatoes) and Sabz Pulao (Mixed Vegetable Pilaf). The boys arrived around 6:30, and Johnny and I made a foray to the grocery store for ingredients. There weren't too many vegetables to chop, so prep time was minimal. We put some potatoes on to boil for the flatbread and set the rice in a pot to soak. I chopped cauliflower, cilantro, green chiles, and potatoes while Johnny mixed the dough for the bread. When the potatoes were ready for mashing, the bread dough had finished resting and the rice had soaked long enough. We assembled the pilaf ingredients quickly in a skillet, and left it to simmer until the rice & potatoes were cooked through. This turned out to be just the right amount of time to cook the flatbreads - I rolled them out while Johnny cooked them one at a time. While the process might seem intimidating, it's really quite simple. The dough is much more forgiving than others I've used. Our total time in the kitchen came in around an hour. I even had enough leftover pilaf & potatoes to make a tasty scramble with a few eggs the next morning. I will definitely try more recipes from this lovely book!